The Long Ride aims to raise awareness in the community of prostate cancer and men's health. Our first Long Ride was in 2007 supporting the Royal Flying Doctor's Service, with some 300 riders making the journey to Darwin and raising $50 000 along the way. 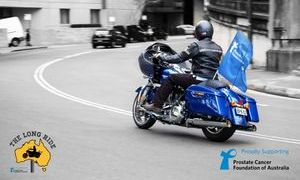 Since then there have been seven more Long Ride's to Perth, Cairns, Sydney, Uluru, Margaret River and Tasmania, raising over half a million dollars along the way, but more importantly raising awareness of Prostate Cancer through the regional communities we travel through. The next Long Ride sees us returning to Darwin and starts in May 2019 - we would love to have you come join us. 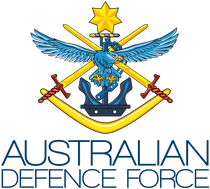 Chris Dunne introduced the concept of the Long Ride as he was nearing compulsory retirement from the RAAF at age 55 in 2004. Since then he has run 9 successful Long Rides across Australia involving countless people. The Long Ride is a ride you should try to do even if just for yourself if not for others. You will meet some extraordinary people who will be friends for life. You will also interact with people across Australia who readily welcome you into their communities. The first Long Ride was introduced in 2007 in support of the Royal Flying Doctor Service, Australia. This event raised $50,000.00 and had approximately 300 riders involved at any one stage. On the ride into Darwin there was over 330 riders involved thundering into Darwin in a very emotional and historic ride after 8 days travelling across Australia. 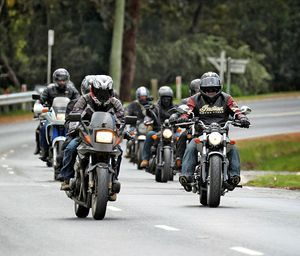 A smaller ride, the trip to Perth, WA, saw approximately 270 involved, 33 who rode all the way, raising some $20,000. Travelling across the Nullarbor was the highlight of this ride and staying at Madura Pass cemented it as a must do again for a later date. In 2010, the Long Ride has become the biggest event of its type in the Southern Hemisphere. 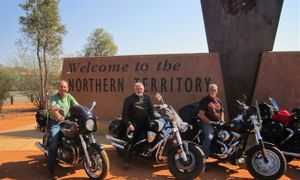 This time there were 277 registered riders with an estimated 60 additional riders riding all the way to Darwin. With approximately 347 riders in the Long Ride 2010, we raised over $209,000.00. As the Long Ride regrouped at Coolalinga for the entry into Darwin, there were over 450 motorcycles lined up to ride into history. Riding to Sydney from all across this great Nation is a must if you use the roads we did. 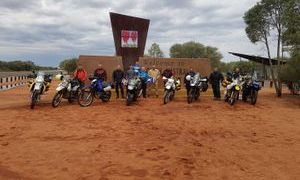 Riders came from all across Australia and all came together in Broken Hill. Riding down through the Clare Valley and along the Great Ocean Road is a mind clearing experience. Travelling along with such great people is a bonus as you too are one of them. From the deserts of central Australia to the Great Australian Bight, you will never experience such splendour of scenery and such changes in vegetation, not to mention the night time gatherings where new friendships are forged, friendships that last a lifetime. 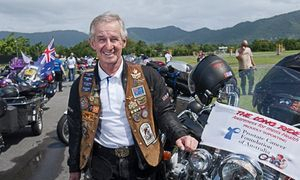 The ride to Cairns raised over $180,000 and the number of registered riders was 307 people. 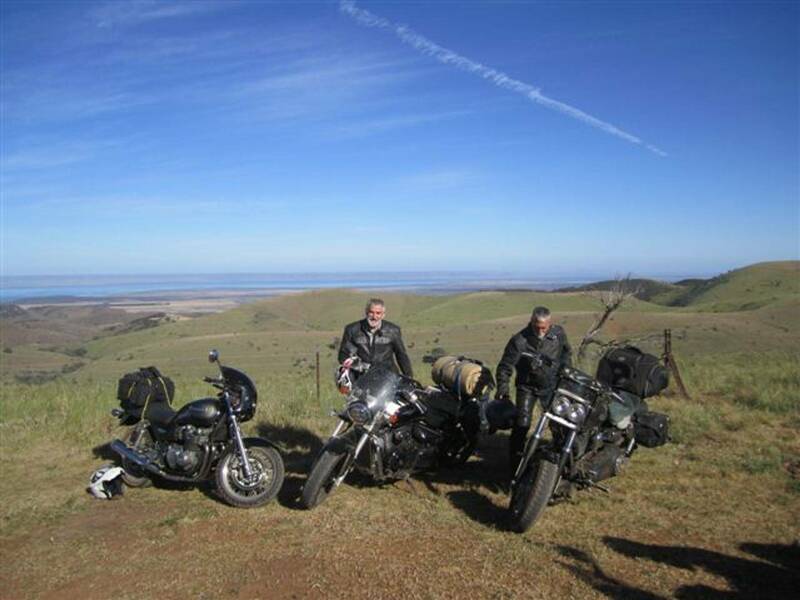 Riding from all parts of Australia and meeting up with all riders in Longreach we again became a family of riders roaring through the wide open lands, paddocks and hills to emerge west of Townsville from Hughenden and rode down from Port Douglass along the coastal road to Cairns. A majestic ride where all riders began to understand the freedom of riding a motorcycle through this wonderful country. 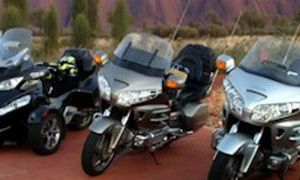 In 2014 we rode to Uluru from all parts of Australia with riders from Germany, the USA and Hong Kong. All up there was over 457 riders who all had a wonderful time. We explored many places only ever read about. To travel from the city and then to cross deserts, and salt lakes, malley scrub and mountains is a feat not to be missed. To do so in the company of great people is a bonus. 457 riders rode across the Nullarbor to Margaret River. 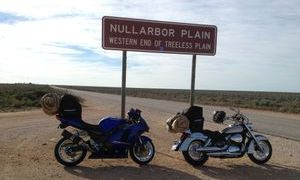 The ride across the Nullarbor is one of the most emotional and insightful rides that a motorcyclist could ever do. The Nullarbor has a unique place in Australian folklore and with the Ranges on the right and the Ocean on your left, travelling across on a motorbike can make you feel part of your country and help you see things clearly. 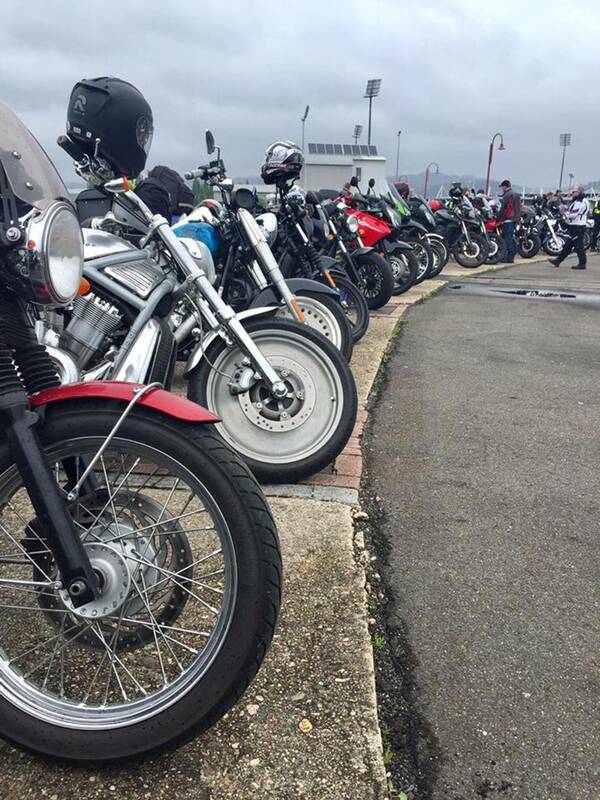 Riders from all around the mainland congregated at Port of Melbourne to catch the Spirit of Tasmania to Devonport. Riding off the ferry in Devonport, then towards Burnie and you quickly come to understand the beauty of Tasmania. All along the coast, the road continues to serve up such beautiful scenery that you are constantly tempted to stop and take photographs. The rest of the ride did not disappoint as we journeyed towards Stanley, Strahan, Queenstown, Bothwell, Hobart, Coles Bay, Wine Glass Bay, Bicheno, St Helens, Scottsdale , then Launceston before finally making our way back Devenport - all the time experiencing the hospitality of those communities. The 10 days it took us did not give us time to look at scenario, take the photo's, enjoy the coffee or sample the wines and whiskey's that were available, not to mention the amazing roads for bike riding! The Long Ride 2019 to Darwin and Broome will commence on different dates depending on your start location. From Sydney, it will commence on 11 May 2019. Click here to find out more.